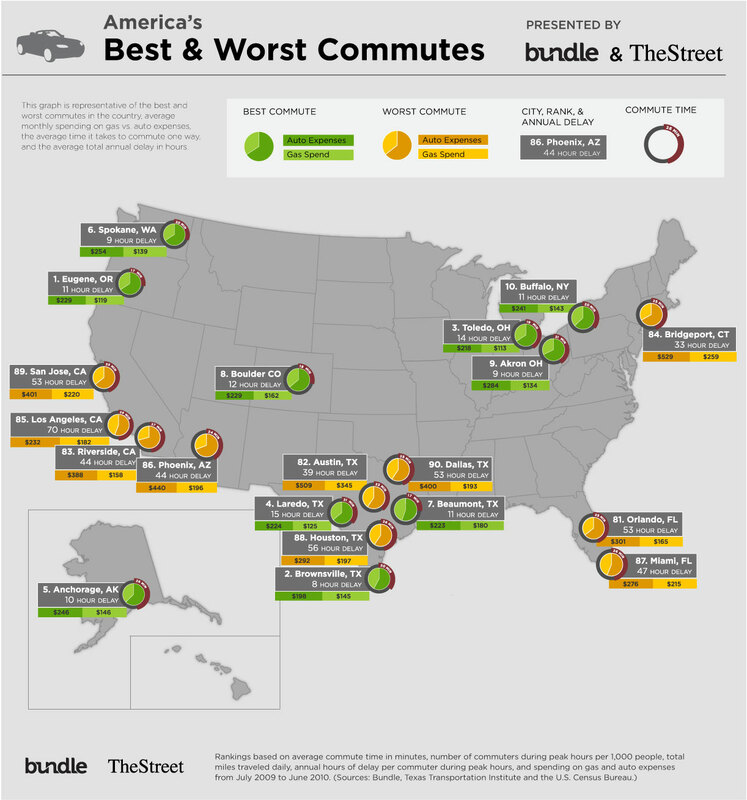 Wired.com (via bundle.com) has compiled a list with visual representation of the best and worst commutes in the United States. I'm honestly surprised to how low on the list, or high depending on how you look at it, Washington DC is. I guess in a Metro area where turn signals, lane markers, stop signs, keep right ordinances, stop lights, cross-walks and drink driving seem to be upon the discretion of the driver, the commuting hours aren't really a concern.